ANDREWS BACKHOE SERVICE - HOME Welcome to Andrews Backhoe Service online! 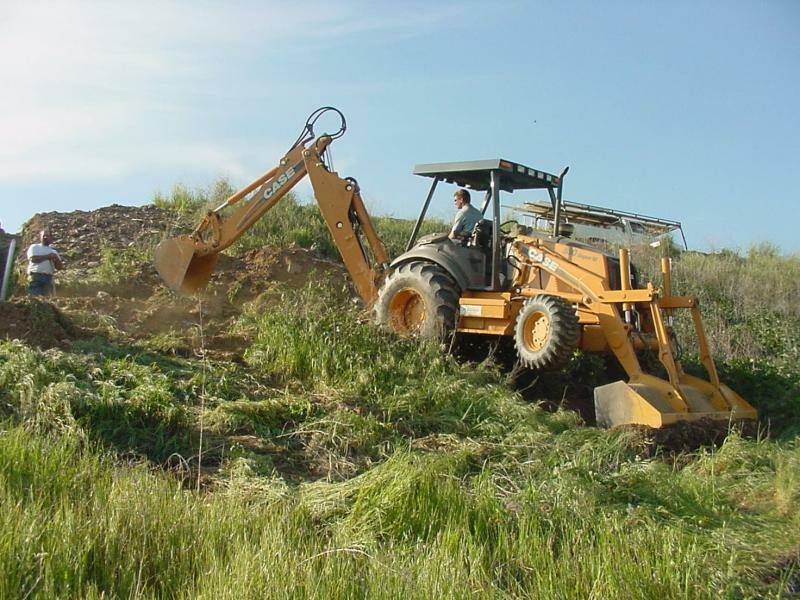 Andrews Backhoe Service is a licensed and insured contractor that has been serving the Tulare and Kings County area since 1988. We are committed to provide the highest quality service at a reasonable cost and doing things right the first time. Andrews Backhoe Service takes pride in its expertise, efficiency and attention to safety. We guarantee excellence and customer satisfaction. Please feel free to browse through the different services that we offer and contact us today to get a free estimate. We appreciate your interest and we look forward to hearing from you. Welcome to Andrews Backhoe Service online! Andrews Backhoe Service is a licensed and insured contractor that has been serving the Tulare and Kings County area since 1988. We are committed to provide the highest quality service at a reasonable cost and doing things right the first time. Andrews Backhoe Service takes pride in its expertise, efficiency and attention to safety. We guarantee excellence and customer satisfaction. Please feel free to browse through the different services that we offer and contact us today to get a free estimate. We appreciate your interest and we look forward to hearing from you. Andrews Backhoe Service is a licensed and insured contractor that has been serving the Tulare and Kings Counties since 1988. We are committed to provide the highest quality service at an affordable cost and doing things right the first time. Andrews Backhoe Service takes pride in its expertise, efficiency and attention to safety. We guarantee excellency and customer satisfaction. Please feel free to browse through the different services that we offer and contact us today for a free estimate. We appreciate your visit and we look forward to hearing from you.